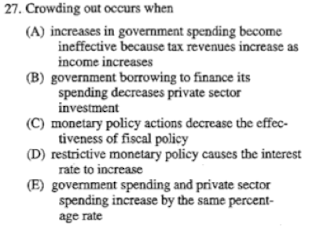 Definition: A situation when increased interest rates lead to a reduction in private investment spending such that it dampens the initial increase of total investment spending is called crowding out effect. Simply put, The Federal Government spends more money than they have as revenue and to keep spending must borrow from the banks. How do they borrow? They sell Government Bonds. In selling these bonds cash is sucked out of the banks. Interest rates rise as there is less cash in the banks coupled with a larger demand for this cash. 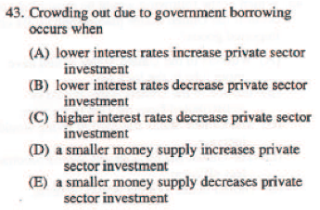 Rising interest rates slow the amount of investment in the economy. The government has an expansionary policy and with its spending is trying to push AD aggregate demand higher, taking advantage of the multiplier. Spending raises interest rates that slows or even decreases (I) investment spending thus decreasing the effects of the multiplier. Answer - (B) The decrease in consumption or private investment spending caused by an increase in government spending. Answer - (B) government borrowing to finance its spending decrease private sector investment. A tax cut is an expansionary fiscal policy. 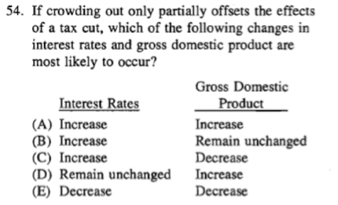 If the government decreases tax rates then it has less revenue. 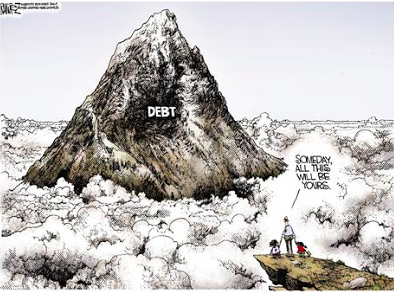 Less revenue means it must borrow to keep spending. The borrowing raises interest rates. Raising of interest rates will slow the amount of (I) investment which will keep GDP from increasing as much as expected, but it will increase. Just less than the government would have liked. 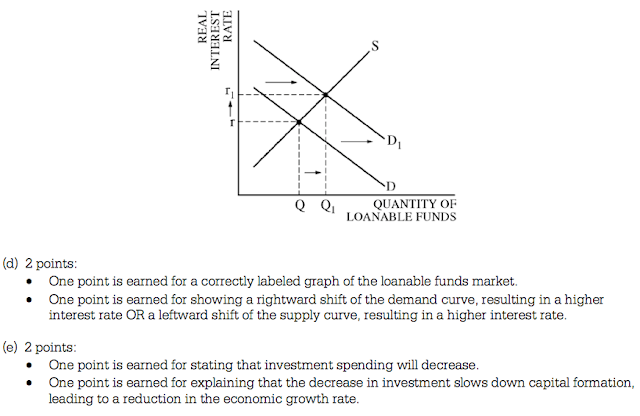 Blog post for 2008 FRQ#1 here.